This listing expired on August 1, 2010. Please contact omertelaviv@gmail.com for any updated information. Seated high above the modern city of Jerusalem is the ancient site of Ramat Rahel. Over the last fifty years many have realized that this seemingly natural hill holds within it many secrets that only the archaeological spade can reveal. Excavation carried out at this hill had uncovered the story of a palatial center surrounded by a garden and built at the time of the kings of Judah and during the time the return from exile. Another story embedded within its soil relates to a Jewish community that lived here during the days of the Second Temple until its destruction in the great rebellion (ca. 70 C.E.). Last but not least, the site reveals the story of a Christian monastery and a church built half way between the two holy cities of Jerusalem and Bethlehem. All of these stories were however forgotten. If it were not for the work of hundreds of people from all over the world who voluntarily gave of their time and money to unearth these stories, we would never have known them. The more material evidence we recover, the more we realize that there are still many secrets awaiting us. The 2009 excavation season in Ramat Rachel was very successful, and ‎contributed a great deal to our understanding of the history of the site and ‎the history of the land. However, some questions remained unanswered; Therefore, ‎we have decided to go back to the site for a short and concentrated season, ‎in order to do some final excavations before concluding the project.‎ Excavation Season 2010 During this last excavation season of 2010 we will enjoy everyday fieldwork for ‎two weeks. 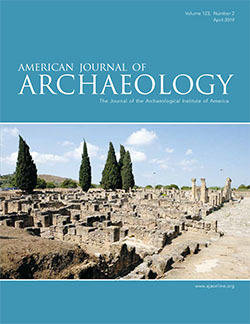 See the project website for more information about the dig and about the history and archaeology of Ramat Rahel. Royal Citadel from the time of the kings of Judah and magnificent gardens with water system; Persian period administrative center; Roman Villa and Bathhouse of the tenth Legion; Byzantine Church and Monastery; Village with agricultural installations from the early muslim periods. Four star Hotel, Pool, Health club, restaurant. The Ramat Rachel Hotel has 164 spacious rooms, all with spectacular views of the surrounding landscape and some with private terraces. The hotel's VIP rooms are particularly large and come with a whirlpool bath as well as other special amenities. All of the rooms are equipped with satellite TV, central AC, radio, and a direct dial telephone with voice mail. Nonsmoking, connecting, and wheelchair-accessible rooms are available. Participation in the dig includes full room and board (including three meals a day at the hotel restaurant and twice a day coffee and cake break), 24 hours coffee-tea and Internet services, use of the hotel facilities (pool etc. ), academic lectures, evening tours at Jerusalem (including the city museums), afternoons archaeological programs and social activities.